The exhibition will open parallel to the 71st session of the UN General Assembly (UNGA71). Future Forest is a Korean non-profit, non-governmental Organization established in 2001 and is devoted to saving the earth through a revolution in sustainability. It acts to create a greener future by raising public awareness regarding desertification issues, and sustainable land management. One of its most famous initiatives is the development of a 16 km-long windbreak forest named “Great Green Wall” through the planting of more than 5 million trees in the Kubuqi Desert of Inner Mongolia, China. For the SAVE THE EARTH Green Corps United Nations Exhibition, Future Forest, in collaboration with the World Federation of United Nations Associations (WFUNA) and the United Nations Convention to Combat Desertification (UNCCD), presents an exhibition to highlight the importance of anti-desertification and sustainable land management efforts for the well-being of human life on earth. Desertification, Climate Change, Biodiversity, Desertification and Migration, Water scarcity and Drought, Desertification and Sustainable Development. 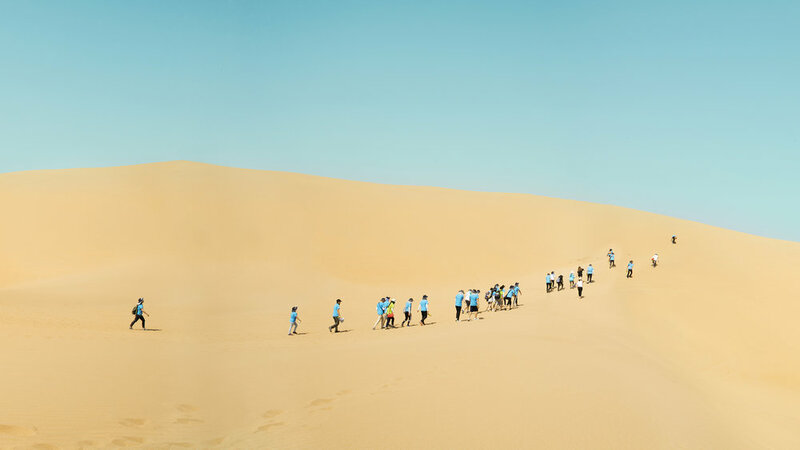 The main purpose of the event is to raise public awareness of the seriousness of desertification, a crisis that affects one third of the earth’s land surface. Furthermore it is to bring attention to the 1.5 billion people in over 100 countries who are affected by both desertification and land degradation. Coupled with the effects of drought and bio-diversity degradation, there is an urgent need to call out for international action to create a sustainable land management framework in order to achieve SDG # 15. The exhibition will present Artworks/Projects from artists from more than 30 countries around the world; a section for the work created by Korean youth. “Save the Earth” is a global campaign initiated by Future Forest to make the earth sustainable for everyone. To save the earth, you must know the earth. “Green Corps” is a group of young volunteers organized by Future Forest in order to work to save the earth through environmental activities such as tree planting, data collecting, and monitoring the increase of biodiversity in afforested areas. “Billion Trees in the Desert” is a global campaign initiated by Future Forest in collaboration with the UNCCD. In 2009 Future Forest was admitted as an NGO to the UN Framework Convention on Climate Change. Founder and President of Future Forest, Ambassador Byong Hyon Kwon , was designated in 2010 as the first Sustainable Land Management Champion and Greening Ambassador by the United Nations Convention to Combat Desertification. He is also one of the 15 contributors of the UN Decade for Deserts and the Fight Against Desertification Program 2010-2020. The UNCCD deals with issues such the unsustainability of the earth itself, caused by land degradation drivers: desertification, drought and rapid deterioration of biodiversity and ecosystems. In order to secure land rehabilitation, among other things, it seeks to find solutions to conserving the earth’s drylands which are home to 44% of the world's cultivated systems and one third of the world’s population, and which face threats from growing water scarcity, reduction in vegetation cover, reduced soil quality, and the increasing overall effects of climate change. Future Forest was established with the aim of combating one of the most urgent dangers to the environment and to mankind - desertification - a threat that has been increasing on an unprecedented scale around the globe. Founder and President of Future Earth is former South Korean ambassador to China, Ambassador Byong Hyon Kwon, began this initiative with the aim of uniting global action and awareness around this challenge. His immediate objective was to combat the accelerating desertification in East Asia, one of the most serious challenges facing that region today, and a crisis that inevitably called for a global solution. Future Forest was founded in 2001 to focus on combating desertification through the planting of trees - afforestation. Through close cooperation with China, Ambassador Byong Hyon Kwon’s method was to bring together Korean and Chinese organizations, and Korean and Chinese students to work together towards a solution to the ongoing spread of deserts in Northeast Asia. 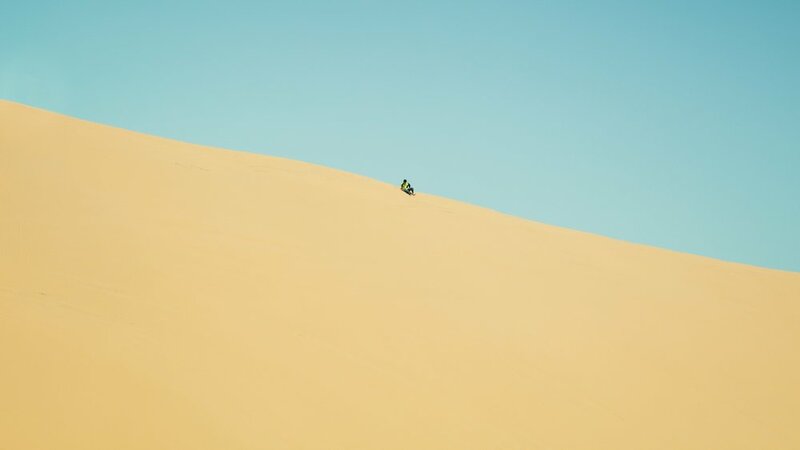 Their focus was the Kubuqi Desert in Inner Mongolia, one of seven great deserts in China, that had expanded to 450 kilometers west of Beijing; at the time, deserts in China were increasing at a rate of 2400 square kilometers per year. 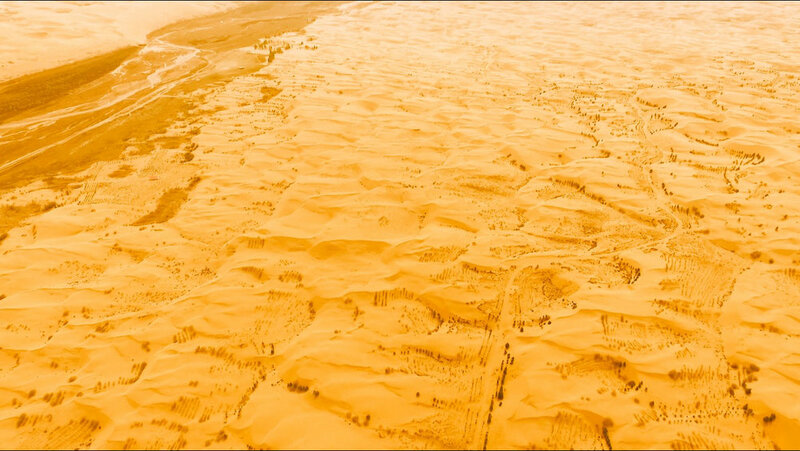 In October of 2006, the Organization initiated a large-scale afforestation project to stop the eastward expansion of this desert whose eastward movement was threatening to engulf the entire region. Likewise, as the desert closest to Korea, it had not only been one of main sources of yellow dust storms blown to Beijing, but winds carried its sand all the way to Seoul, creating yellow dust clouds and causing extensive environmental damage to the Korean city with each passing year. In fact, sand from the Kubuqi Desert has been found as far away as the East Coast of the United States. 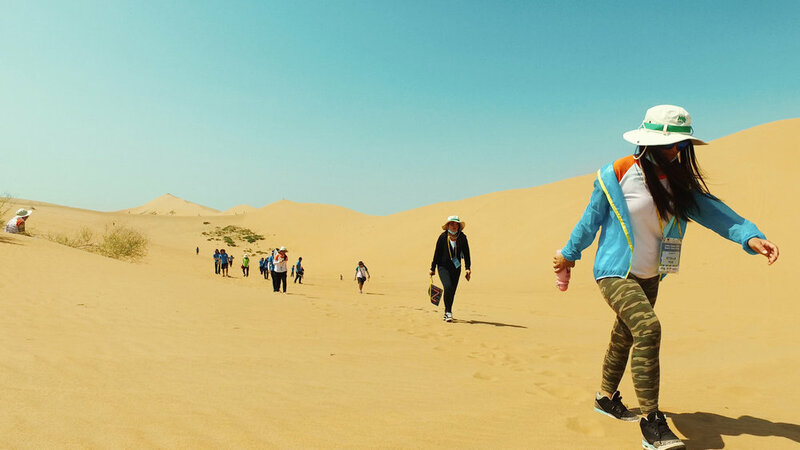 Each year, Future Forest annually dispatches its Green Corps volunteers, a group of more than 100 young students, to Northwest China at the eastern frontier of the Kubuqi Desert is to plant trees in these arid regions in its “Great Green Wall” project, with the aim to stop the area's desertification. 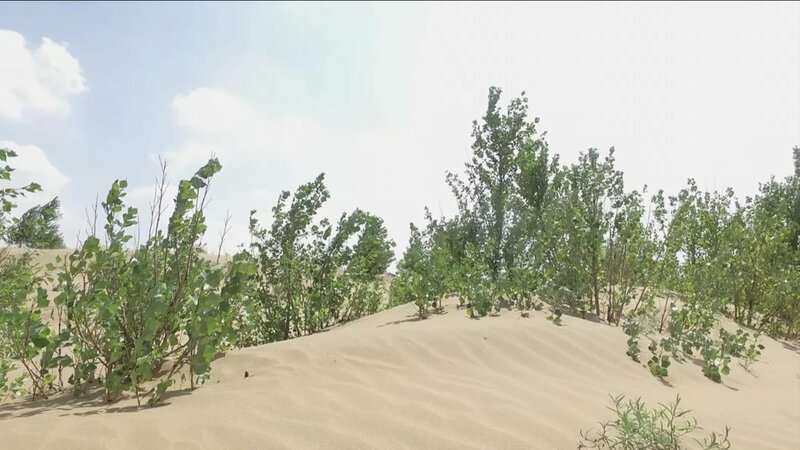 At the beginning of the project, some scientists had expressed doubt that a moving sand-dune desert could be stopped by tree-planting; however, today more than 5 million trees at the easternmost area of the Kubuqi, have prevented the desert from expanding. 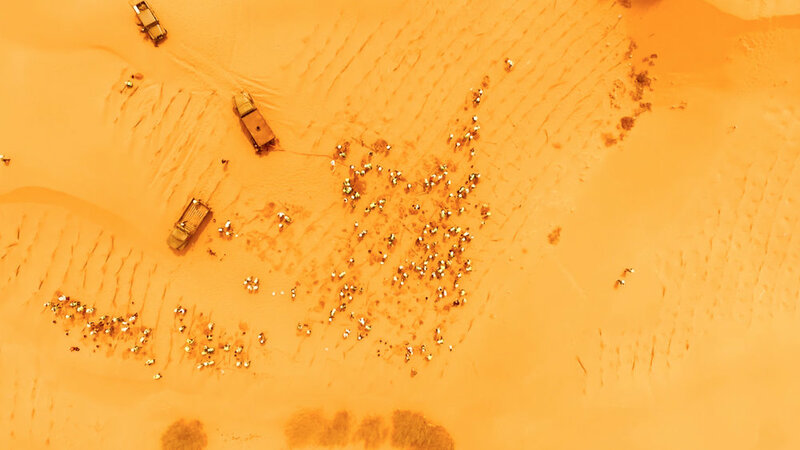 Moreover, under the leadership of Ambassador Byong Hyon Kwon, the participants have joined up with local people to plant trees and secure the soil, and for the first time, their “Great Green Wall” project has managed to partially stop the desert no one initially believed could be halted. The Great Green Wall (GGW), is now a 16 km-long and 0.5 km-wide windbreak forest at the easternmost area of the Kubuqi desert. It runs North-South, and consists of trees and criss-cross strips of organic material for sand fixation. It now serves as a critical buffer abutting the moving dunes of the desert that are currently entirely barren. It is considered as one of the most successful projects in fighting desertification. As a result of continuous efforts by Future Forest and numerous volunteers, the desert is turning into a forest of millions of planted trees, with willows and poplars, and over 1,800 hectares of moving sand dunes reforested. By having transformed the dry and barren landscape with the addition of these trees, there will be an increasing positive effect for the future of the region. As trees absorb carbon dioxide from the atmosphere, storing it as carbon in their bark and roots, these forests also slow the rate that carbon dioxide accumulates in the atmosphere. Moreover, these forests of the future will help to prevent soil erosion and land degradation, contribute towards the retention of soil quality and fertility - all which will eventually also regulate water flows, as well as provide habitats for wildlife. Today, the GGW mission to combat desertification and reduce the frequency of dust and sand storms (DSS), is run by Future Forest in partnership with the All-China Youth Federation and the Local Government of the Inner Mongolia, an international partnership that involving local, national and global stakeholders. This collaborative partnership is a unique innovation in that it spans sectors as an alliance of NGOs, local governments, government agencies and businesses in both Korea and China. It also embraces local peoples, youth volunteers and the UNCCD in raising awareness of sustainable land management at the local, national and international levels, and strives to give hope to directly affected local people and farmers. "Turning Today’s Deserts into the Future’s Forests..."